What can be accomplished in two weeks? A tour of 14 cities in Iran is one of them! 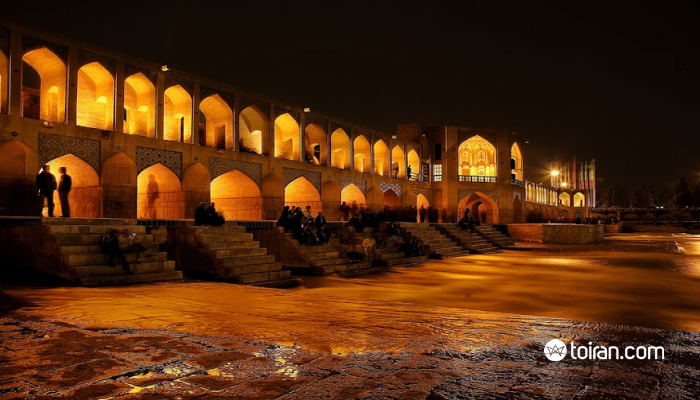 This amazing two-week road trip will take you from the metropolis Tehran to Qazvin, Hamedan, Kangavar, Kermanshah, Ahvaz, Shush, Shushtar, Shiraz, Yazd, Naein, Isfahan, Natanz and Kashan. From ancient ruins, intact rock reliefs, fire temples and glorious Islamic mosques, this adventure will take you to Elamite (2800–300 BC), Median (678 -549 BC), Achaemenid (550-330 BC), Parthian (247 BC–224 CE), Sassanid (226-651 CE), Ilkhanid (1256–1335), Timurid (1370-1507), Safavid (1501–1736) and Qajar (1785-1925) sites where you can witness the rise and fall of civilizations and the legacy of empires lost. 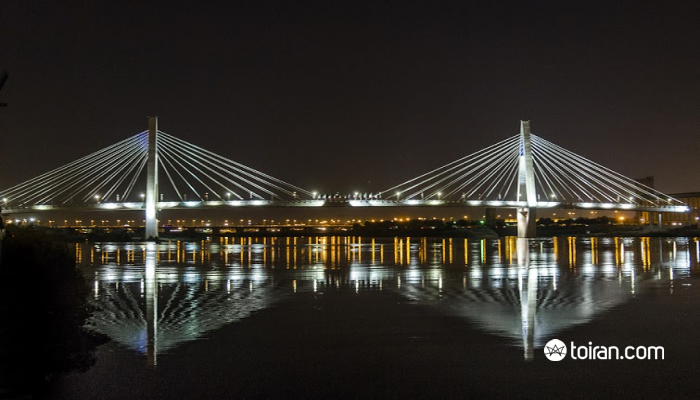 Day 3: You will start your road trip Hamadan early in the morning. 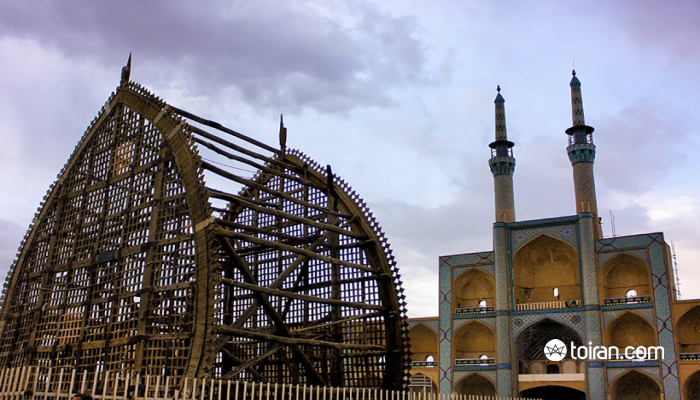 Stop in Qazvin, the city of calligraphers, along the way to visit the Shazdeh Hossein Shrine and the Jame Mosque of Qazvin, which is said to have been built by the order of Harun al-Rashid, the fifth Abbasid Caliph, on the ruins of a Sassanid Fire Temple in 807 CE. 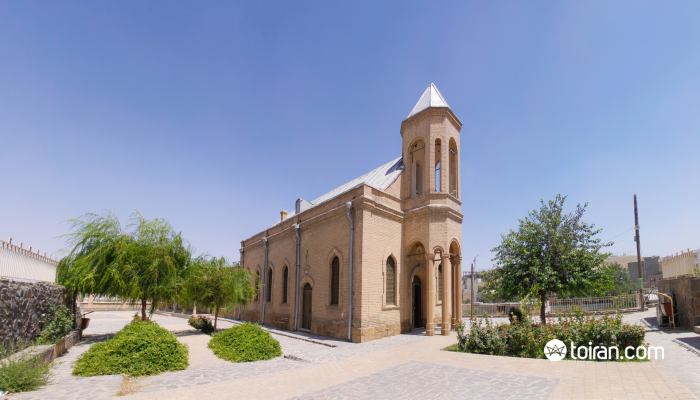 After arriving in Hamadan you can visit the Tomb of Esther and Mordechai, which is believed to belong to the biblical Queen Esther and her uncle Mordechai. You can go to the spindle-shaped mausoleum Persian polymath Avicenna (980-1037 AD) was a prolific genius whose works are still taught in universities today. Take the time to see the Ganjnameh (treasure epistle) inscription carved into a rock face on Mount Alvand, which catalogues the conquests of Darius (521-485 BC) and Xerxes (522 - 484 BC) in ancient Persian, Elamite, and Babylonian. 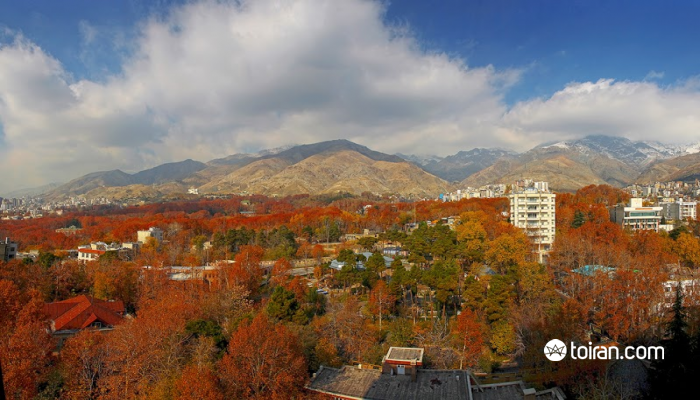 Day 4: Leave for Kermanshah in the morning and travel via Kangavar where you will see the Anahita Temple built in ancient times in honor of the Persian Water Goddess. In Bisotun see the Darius the Great (550-486 BC) inscription written in three languages: Elamite, Babylonian and Old Persian. 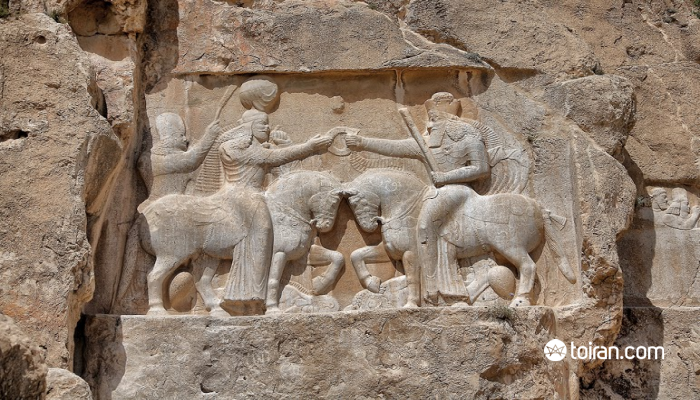 The rock reliefs of Taq Bostan (Arch of the Garden), which are some of the best preserved Sassanid reliefs, will amaze you with gargantuan scenes depicting the investitures of Ardashir II (reigned 379–383 CE), Shapur III (reigned 383–388 CE), and Khosrow II (570-628 CE) as well as a relief of Khosrow II in full battle gear mounted on his favorite horse, the legendary black Stallion Shabdiz (midnight) which was reputed to have been the fastest horse in the world. Day 5: Continue your journey by driving through the Zagros Mountains to Ahvaz. 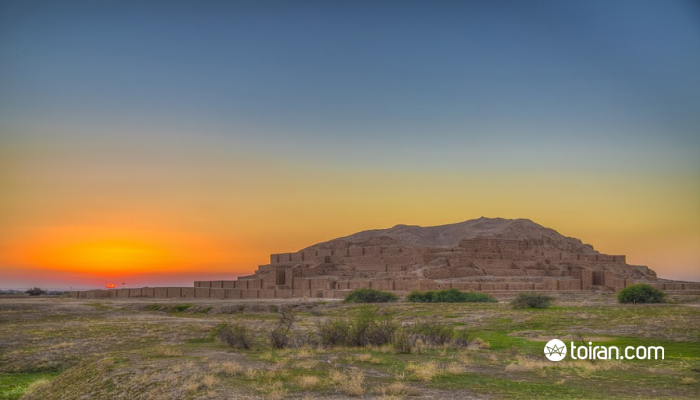 Day 6: Before arriving in Shush, visit the Chogha Zanbil Ziggurat, a five-level temple dedicated to Inshushinak, the bull-god of Susa. This mud brick temple was once 53 meters tall and adorned with glazed, baked bricks bearing Elamite inscriptions. You can stop in the ancient Elamite site of Haft Tepe (seven mounds) Akkadian stone tablets have been unearthed. 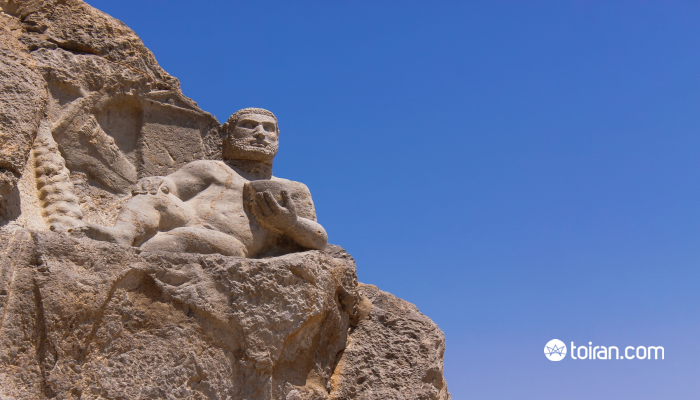 In Shush, visit the ruins of the winter palace of Achaemenid King Darius I (550-486 BC) Achaemenid known as Apadana Palace. You can also visit the Mausoleum of Daniel the Prophet, a revered pilgrimage site frequented by Jewish and Muslims. 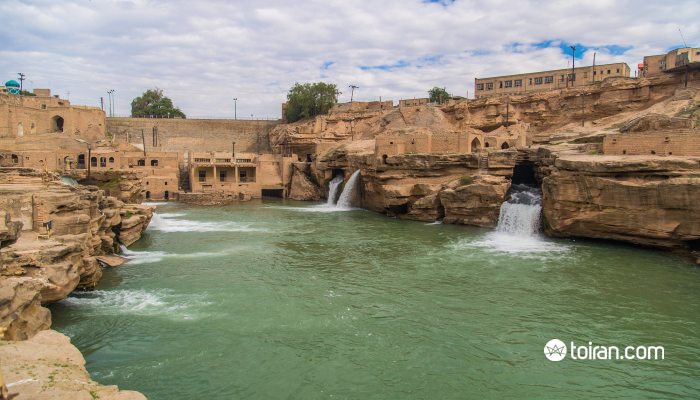 Head to Shushtar where you will spend the night and see the Historical Hydraulic System, a network of watermills, weir bridges, dams, water channels, rivers, and moats along with a castle which controlled the flow of the operation. Day 7: En-route to Shiraz Stop in visit Bishapur, the ancient city found by Shapur I the Persian king who enslaved the Roman Emperor Valerian and see the ruins of the Anahita Temple built in ancient times in honor of the Persian Water Goddess. 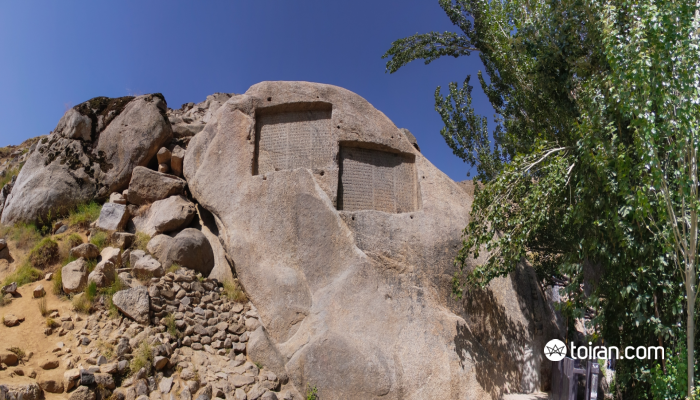 Let the massive rock reliefs of Tangeh Chogan amaze you. 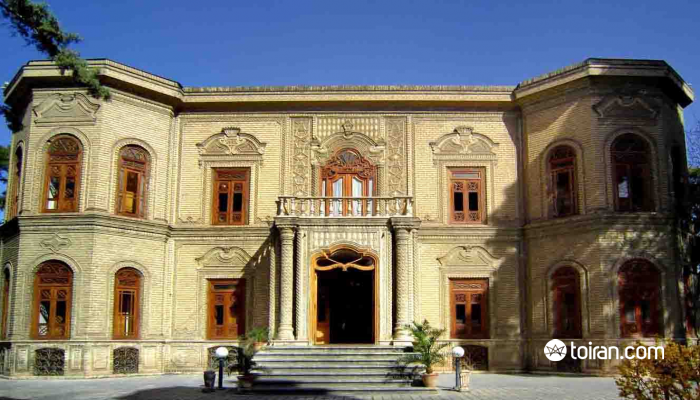 Day 8: Visit lavishly decorated Qajar structures like the Pink Mosque (Nasir Al-Mulk Mosque), Zinat ol-Molouk House and Qavam Mansion, Narenjestan Garden. 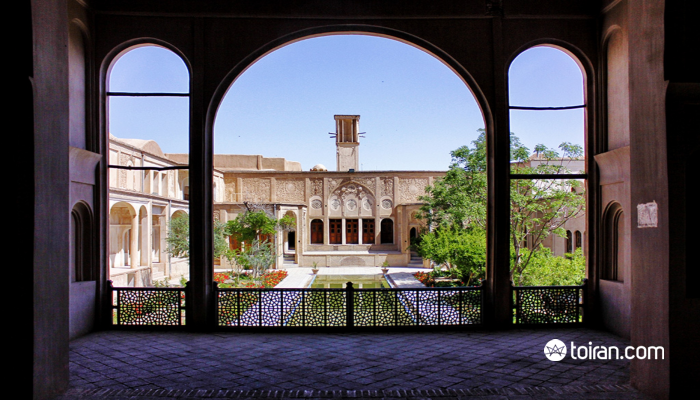 Discover the 18th century Vakil Royal District, Karim Khan Fortress (Arg of Karim Khan) and the unique Eram Garden. 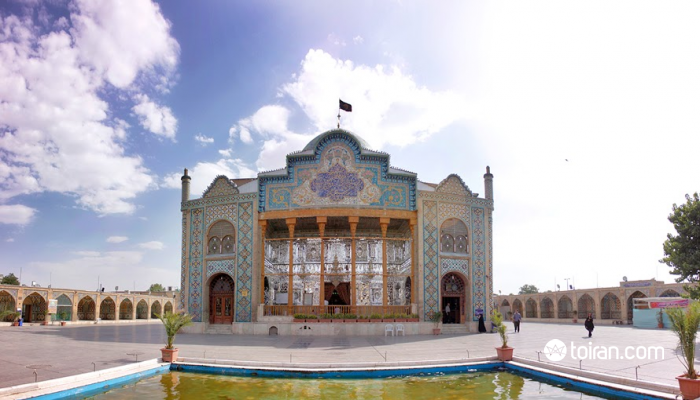 If there is time visit Khan School, a Qajar seminary, and Shah Cheragh (Lord of Light) Shrine. Day 9: Spend a day outside the city visiting the ruins of one the most magnificent masonry works in the world created over a period of 150 years by one of the oldest civilizations to date. Persepolis was devastated by a fire but its surviving monuments and reliefs still tell of the glory of times gone by. 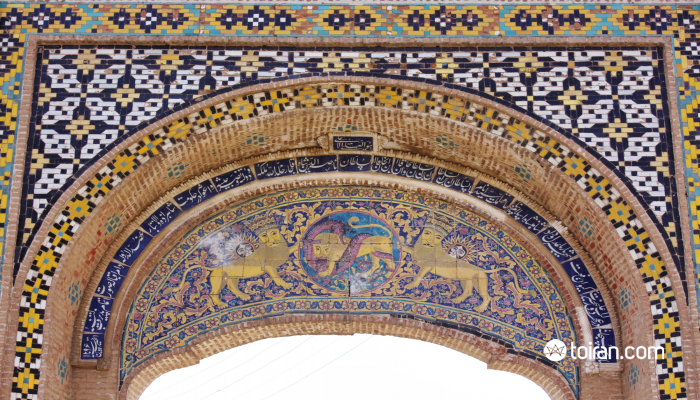 You can continue sightseeing in Shiraz after returning to the city in the afternoon. Day 10: Head for Yazd early in the morning. 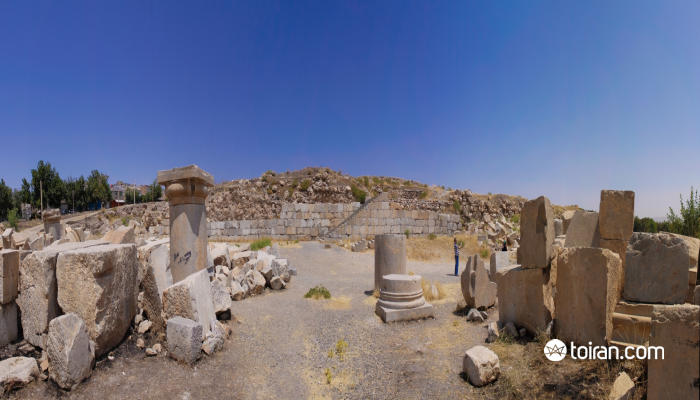 On the road you can visit the first Achaemenid capital in Pasargadae and the tomb of Cyrus the Great, who created one of the first Human Rights Charters known to man after freeing the Jews in 537 BC from captivity in Babylon. You can stop in Abarkuh to see one of the oldest living things in Asia, the 4000-year-old Abarkuh cypress tree. After arriving in Yazd in the afternoon, visit the Amir Chakhmaq Historical Complex where you can try some of the delicious local pastries like Persian baklava and Qotab (deep-fried almond-filled pastry) while you wait for the Amir Chakhmaq lights to bring this monument to life. Day 11: Go to the Atash Behram (Fire of Victory) Temple where the holy fire has continuously burned for 1,500 years. You will leave for Isfahan but will stop along the way in Naein, where you can see the 10th century Jame Mosque which is considered one of the first mosques to have been built in Iran. Day 12 & 13: Let the splendor of Naqsh-e Jahan Square and Shah and Sheikh Lutfollah Mosques, Ali Qapu Palace and Qeisarieh Bazaar leave you awestruck. 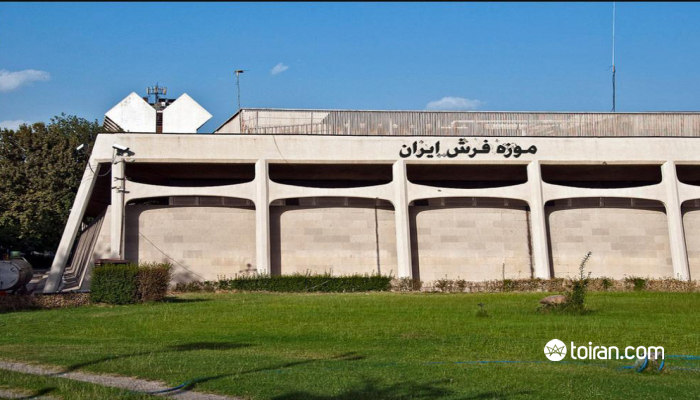 Day 14: You will begin your road trip back to Tehran early in the morning. Day 15: Transfer to IKA airport for your flight home. Note 1: Please be advised that some museums and sites may be closed on certain tour dates and your itinerary will change accordingly. 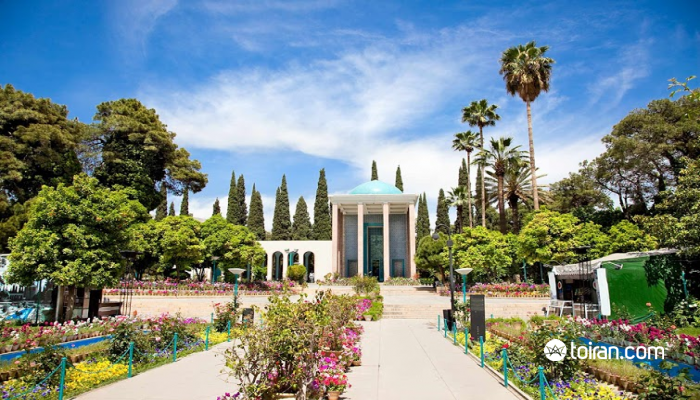 Seeing the treasures of Tehran, Shazdeh Hossein Shrine in Qazvin, Tomb of Esther and Mordechai in Hamadan, Bisotun in Kermanshah, Chogha Zanbil Ziggurat in Shush, Historical Hydraulic System in Shushtar, Persepolis and Pasargadae in Shiraz, one of the oldest living trees in Asia in Yazd, half of the world in Isfahan and the bride of all traditional Persian homes in Kashan.